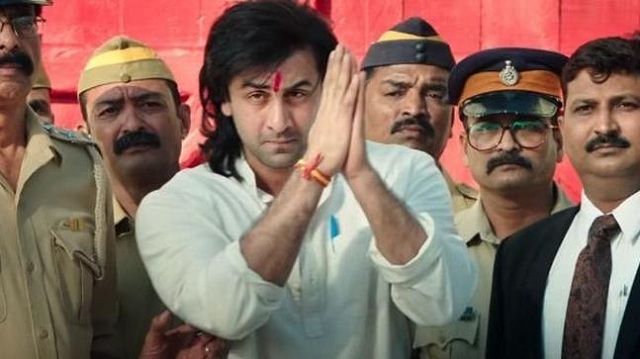 Sanju 4th Friday (22nd Day) Collection. Strong Start Again. Sanju has taken a strong start at box office again on start of 4th week. Film has collected an approx 1.25 crore nett on 4th Friday. Film registered a drop of around 45% from 3rd Thursday. Drop is bit more as there is a release in Dhadak and it has taken screens from Sanju. Sanju total collection currently stands at approx 327.9 crore nett. Film is all set to go past 330 crore mark inside fourth weekend. Sanju should touch 335 crore nett by the end of week four. In rest of its theatrical run Sanju should easily cross PK and Tiger Zinda Hai lifetime business. Film may fail to touch 350 now and it needs excellent trending again if it aims for that magical mark now. Total - 327.9 cr nett (approx). It will beat highly manipulated Tingu zinda hai collections but fail to beat real bof office champ PK which collected 340.80 crores all thanks to a bit manipulations. shameless vidhu vinod chopra exposed again. How desperate he is to prove that his film which glorifies a mediocre actor can beat his highest grosser PK which collected this amount back in 2014. But poor vinod doesn'even know that his father aamir is still light years ahead with dangal and now soon to release TOH. Again it is because of megastar aamir khan and brilliant director raju hirani who are crowd pullers not this arrogant and big mouthed flop producer vidhu vinod chopra whose entire career depends on these 2 saviors.